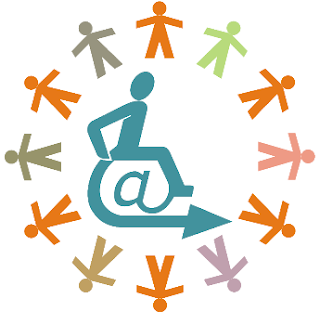 This logo can be used for the functional purposes of e-Accessibility Office of Alexandrio TEI of Thessaloniki. It can only be used by its personel as a metaphor for the office's actions and function, and noone else. If anybody else wants to use this logo, contact me via e-mail. The logo is presented here as a thumbnail. The original .png image of the logo can be found here. The .png image is signed by me using The GNU Privacy Guard platform. To check the image's validity you need the GNUPG software. My signature's file can be found here. My public key can be found here. From 1st to 3rd of December 2006 I had been in Athens. I and about 80 other colleagues were chosen as trainers for Greek ministry's of education and religious affairs program "Virtual Businesses at Technical Vocational Education Lyceums". I attended the seminar and on the next three days 15, 16 and 17 of December 2006, I will train about 20 teachers from all over Central Macedonia at Stavroupoli's Technical Vocational Lyceum.